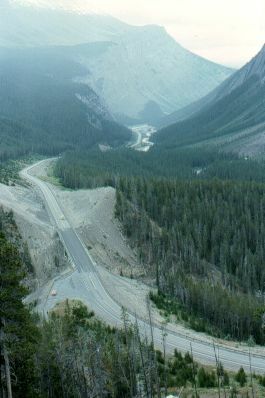 From Jasper (Alberta) I headed south along the Icefields Parkway towards Banff. 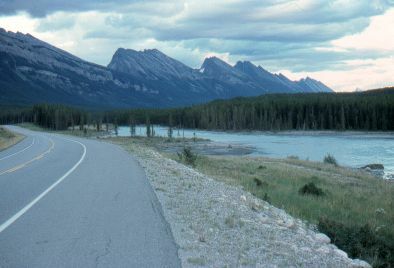 This spectacular highway runs from Jasper in the north to Banff in the south. I did not reach Banff. I instead headed east out of the mountains halfway to Banff, due to cold weather (it was late August). 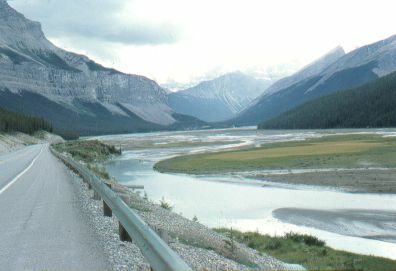 The Sunwapta River, south of Jasper. 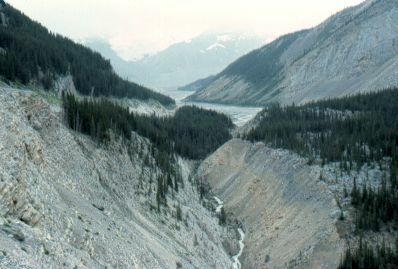 Another view of the Sunwapta River. 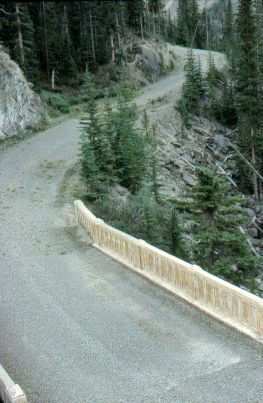 An old bridge along the abandoned original road. The weather was lightly overcast and cool. 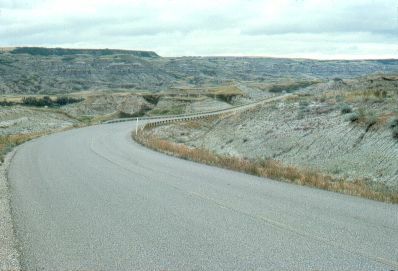 This view is typical of the rocky rugged scenery along this road. 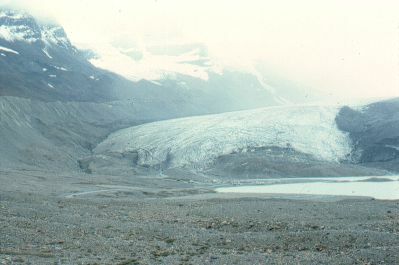 The Athabasca Glacier, which comes down almost to the highway. One more rugged view before leaving this road for lower elevations. 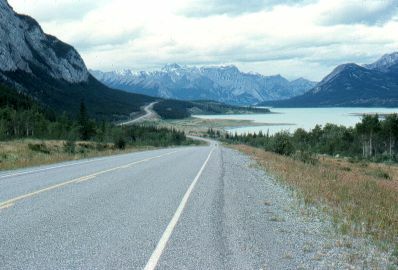 Heading east out of the Rocky Mountains, this is Abraham Lake. 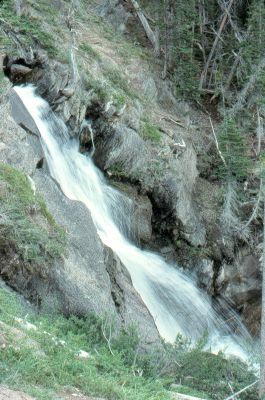 Red Deer River valley, Alberta.